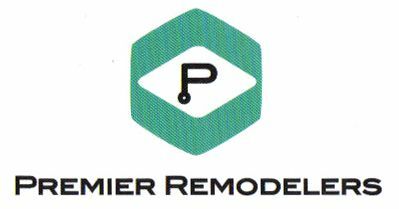 "Premier Remodelers performed a total roof replacement on my home. The owner Joe R. came to my home and worked up a quote. The cost of the replacement was very reasonable and less than the other two quotes that I received. I received a two week notice prior to the start of installation. The materials showed up and were placed in my driveway and lawn the day before the install. The Premier team showed up early in the morning on the day of installation. They performed the removal and installation of my roof all in one day. They were courteous, and cleaned up all waste expected from a roof replacement. In addition they ran a magnet over the whole exterior perimeter of my home and driveway looking for possible missed roofing nails. The roofing materials are of very good quality, are installed correctly, and the roof looks great. I would highly recommend." Premier Remodelers put on new siding a few years ago. Joe R. came out to give us an estimate and we were impressed. The crew of two men came to put up the siding. They knew exactly what they were doing and took their time in doing a fantastic job. Our neighbors kept commenting on how long it was taking but we knew they came on time, worked the whole day and finished the job beautifully. They were courteous, meticulous, prompt and made the house look beautiful. I would recommend this company to anyone who wants work done on their home. Amazing, crew came in and did a fine, fine job on the roof. Picked up around the house, Left the grounds in better shape than when they arrived. Excellent residing and window installation! Joseph was professional ,kind and informative. He delivered all we agreed upon on the timeline planned, and the work is phenomenal. Would highly recommend this company to anyone in the market for siding and windows.